First, here's our original tree. 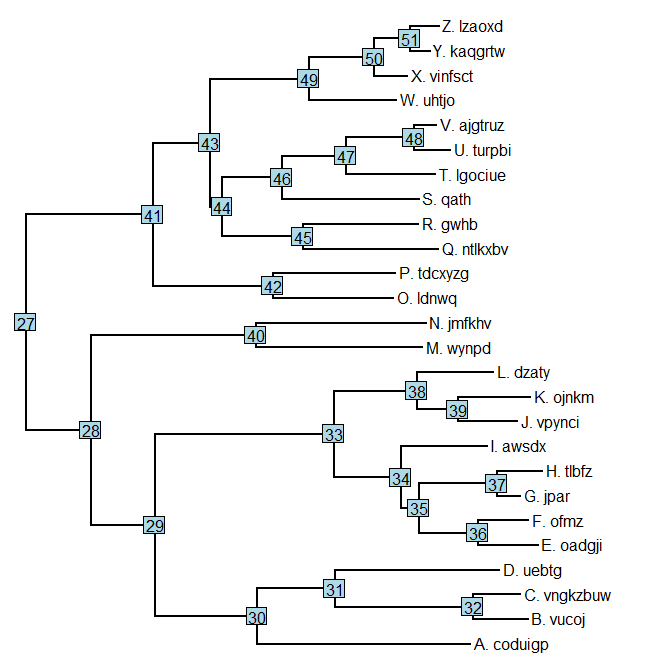 (Simulated, but generated to look like a realistic empirical tree). ## we're going to use these later! That's pretty much it. Of course, the user should adapt this code to their specific tree and visualization goals. 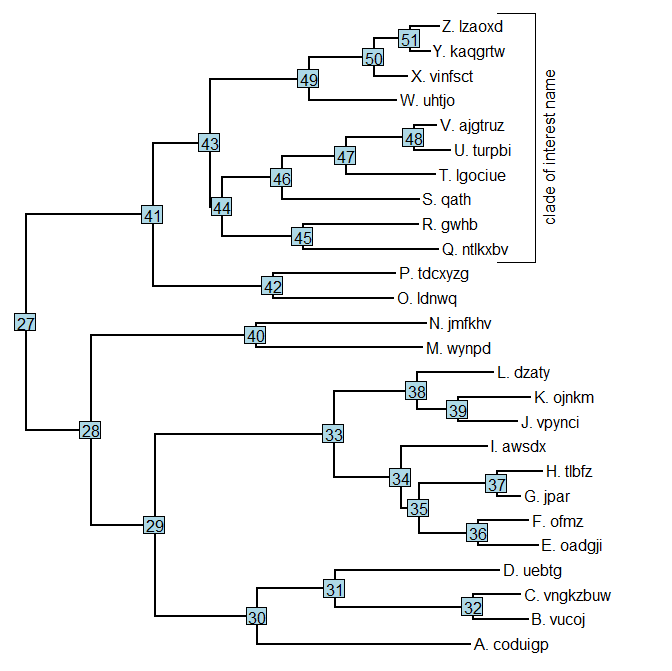 You may also need to adjust xlim in plotTree to allow space for the clade label to be plotted.